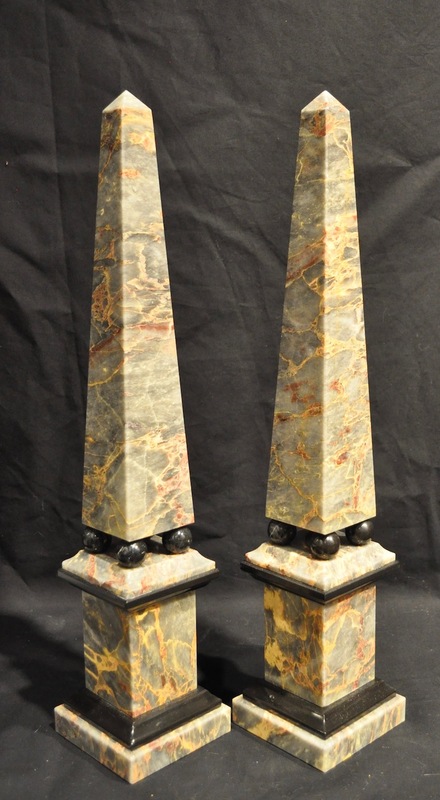 OnlyObelisks worked with an Italian maker to design these chic Grey Salome marble obelisks with black marble ball & plinth accents. This Grey Salome marble is the most wonderful rich grey with gold swirling through. The photos don't do them justice. 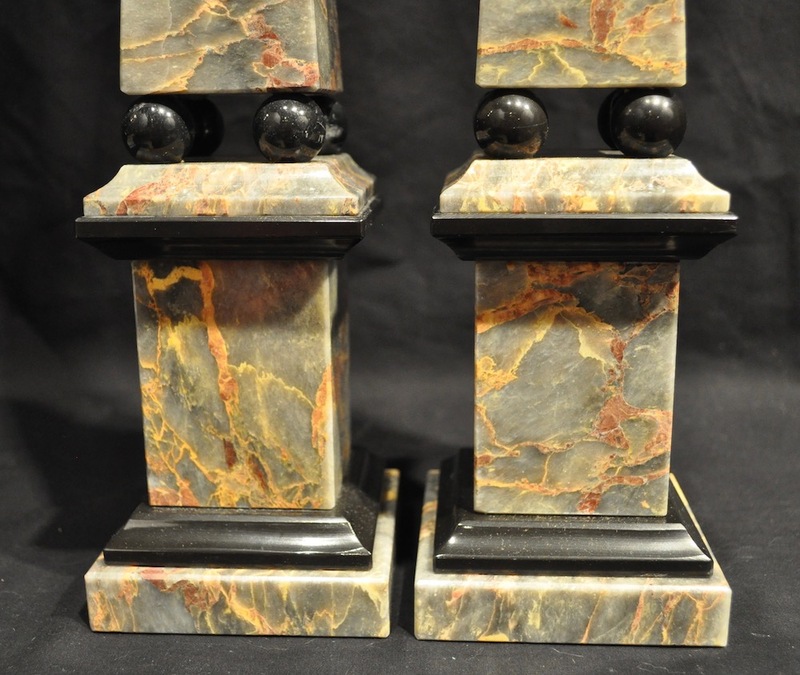 They are quite special and would stand out in any decor. 18 3/4 inches tall. 3 7/8 inch square base. 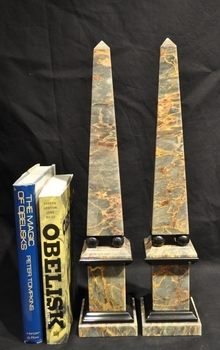 These obelisks are in new condition having been custom made for OnlyObelisks. More photos available on request.